Join your fellow New York Reedies for a stimulating talk at the Brennan Center for Justice at NYU. 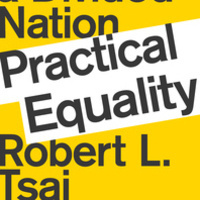 Practical Equality: Forging Justice in a Divided Nation reviews the history of legal measures to fight injustice, and lays a groundwork for our efforts to build a more perfect union today. Professor Robert Tsai of American University Washington College of Law will discuss his important and timely new book with Dahlia Lithwick, senior editor and legal correspondent at Slate. They will review the lessons of past successes and failures to promote equality through the courts and social activism, and discuss what, if any, role the judiciary will play in the overlapping and varying struggles against police brutality, LGBTQ discrimination, and voter suppression.